This lists and defines each of the major Projects. 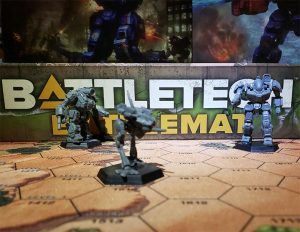 This project's goal is improving the BattleTechWiki's coverage of BattleMechs in the greater BattleTech universe. Things that can be done to help this project include; categorization, copyediting and writing articles on 'Mechs. See the project page for further details. This project's goal is to improve BattleTechWiki's coverage of people of the BattleTech universe, both real and fictional. If you would like to participate, you can visit the project page, where you can join the project and see a list of open tasks. This project's goal is to improve the coverage of factions and faction events in the greater BattleTech universe. Things that can be done to help this project include: writing articles on factions and events and copyediting. Please see the project page for further details. This project's goal is to improve BattleTechWiki's coverage of combat vehicles, battle armor, ProtoMechs, and support vehicles. Please visit the project page to see a list of tasks that need doing. This project's dedicated to improving BattleTechWiki's coverage of Infantry Weapons. This project is updating how system maps are displayed, as well as they link to additional navigational information. This project's goal is to improve BTW's coverage of articles on military units, brigades, and formations. This project's goal is improving the BattleTechWiki's coverage of the planets in the greater BattleTech universe. Things that can be done to help this project include; categorization, copyediting and writing articles on planets. See the project page for further details. 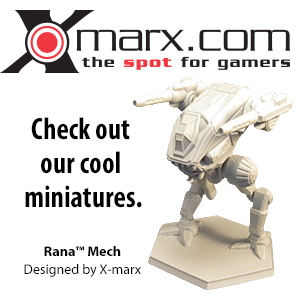 This project's goal is improving the BattleTechWiki's coverage of the spacecraft in the greater BattleTech universe. Things that can be done to help this project include; categorization, copyediting and writing articles on spacecraft. See the project page for further details. This is a group dedicated to improving BattleTechWiki's coverage of equipment and technology. This project's aim is to focus on one canon title and incorporate every possible fact within it into BattleTechWiki, using collaboration and project tracking. This page was last edited on 20 June 2018, at 15:15.